Tokens. A blog by Artist David Wills. : Glossy. Cool Cats. 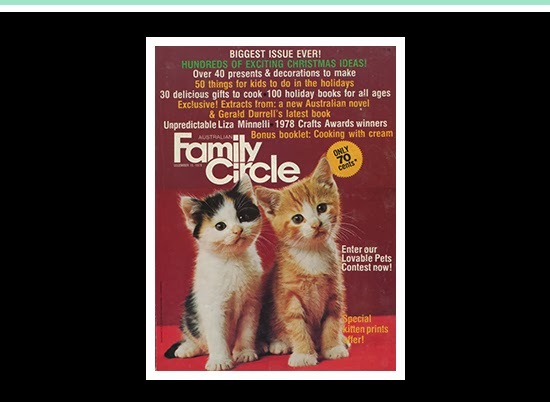 Family Circle once gave good face with this example coming from 1978. You'd be hard pressed to find a masthead so low on a cover today, but here it works. With Christmas almost over, the 'hundreds of exciting Christmas ideas' will have to wait until next year. Nice to see adorable kittens in place of dull people.